First class is free! 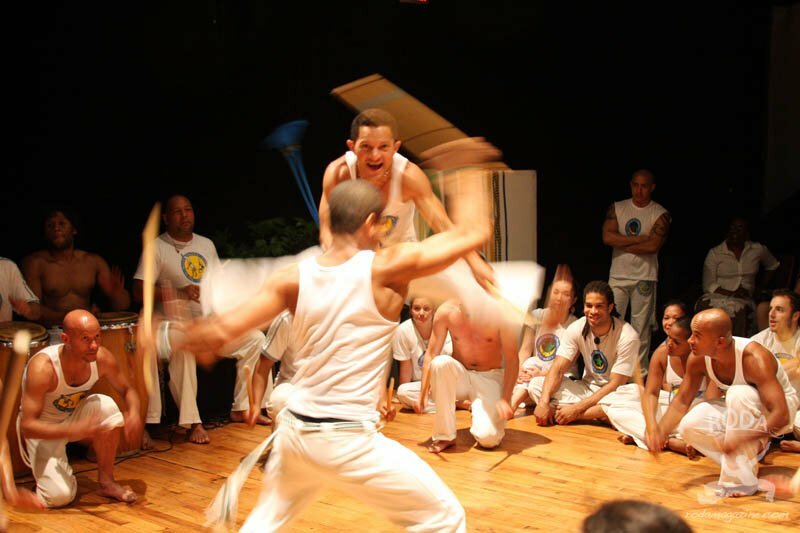 We want you and your children to experience the magic of capoeira! Girls and boys love capoeira! Our program develops FDR – focus, discipline and respect – and WLC – wellness, leadership and community. We are supportive and inclusive and look forward to welcoming you and your children to our center. All teens are invited to take adult classes, especially the Saturday classes with Zach "Mosquitinho" already popular with the teens. Mestre Ombrinho, a master teacher and head instructor at the center, is a leader and pioneer in teaching capoeira to children of all ages and abilities. Our team of teachers have years of experience teaching youth at our center and in NYC schools.